For Nexus devices, these OTAs basically serve as security and bugfix updates. On the GPE side of things, these mostly serve to finally patch Stagefright, though there is one exception. This OTA cycle is also seeing the Galaxy S4 GPE updated to Android 5.1 for the first time. That was an update that a lot of owners no doubt thought would never come. 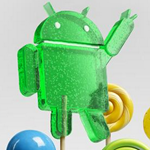 As for the others, there is no Android 5.1.1 to be found. These simply take the existing 5.1 ROMs and add in a Stagefright fix. As new links become available, this post will be updated accordingly. As OTA rollouts generally take time, we don't have all the links for manual flashing just yet. I'll keep this post updated as they come in. All of the folks too numerous to mention who got these links and provided them in all my various XDA threads.